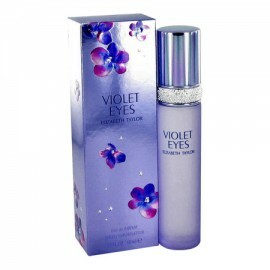 Elizabeth Taylor Violet Eyes 100ml. Eau De Parfum created under the direction of unique master Carlos Benaim. Perfume history devoid of sexuality and passion, but this does not become a bunch of boring. No, this is a great trail for a luxurious business woman. Accessory poured easily refined colors ..
Elizabeth Taylor White Diamonds 100ml. Eau De Toilette - Luxurious, sensual, floral-oriental fragrance White Diamonds by Elizabeth Taylor created for extraordinary women realize the power of her attractiveness and seductive. He disclosed gentle notes of white lily and neroli. Heart of the fragrance .. Forever Elizabeth 100ml. Eau De Parfum - Luxury, peace and pleasure gives its owner a new fragrance Forever Elizabeth by Elizabeth Taylor. Charming, feminine and infinitely romantic. Forever Elizabeth - unusual modern floral fragrance for women, which follows the dictates of his heart. Perfume begin..